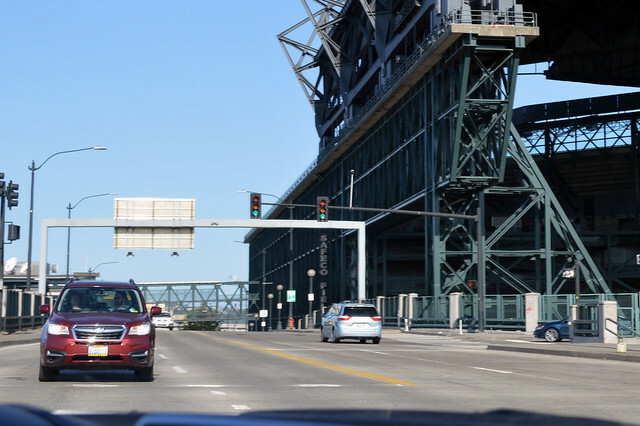 On July 14, 2018, we drove Washington State Route 519, all the way from Safeco Field to Coleman Dock. 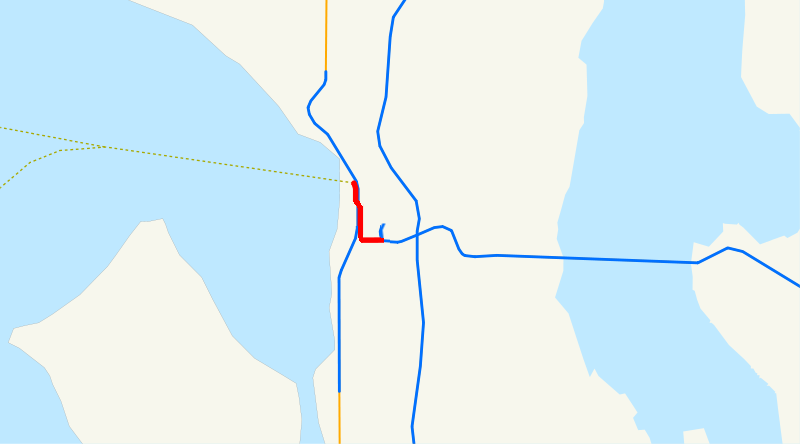 Beginning at a junction with state route number 90 in Seattle, thence westerly, and northerly to the Washington state ferry terminal. We take a left turn on to Martinez Drive to begin. I-90 starts behind us and ends up ahead to the right. 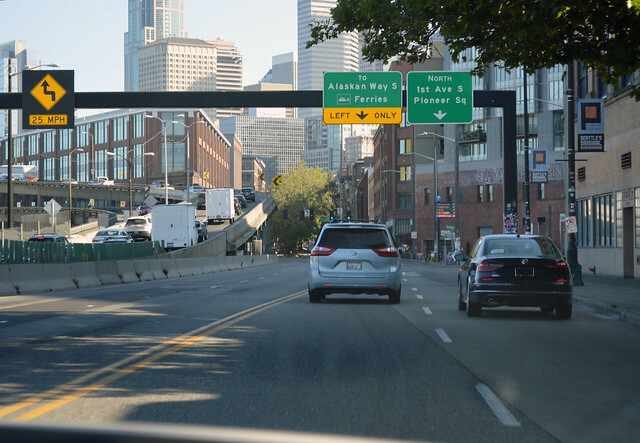 Right turn on First Avenue, following "To Ferries" signs rather than "SR 519" signs. Wait for long signals timed for hordes of pedestrians that aren't here now. Quiet stadiums. Highway 99 gets close on our left, but there's no direct connection. 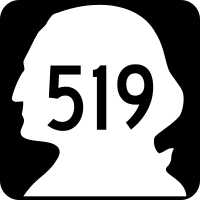 The halfway point of Highway 519 is just a few blocks from its beginning. Enter the construction zone for the viaduct replacement tunnel. Parallel to the viaduct, then under the viaduct, then left turn on Jackson (new route this month) to drive between the bay and a chainlink construction fence. This might be confusing if I hadn't looked at WSDOT's construction maps beforehand. 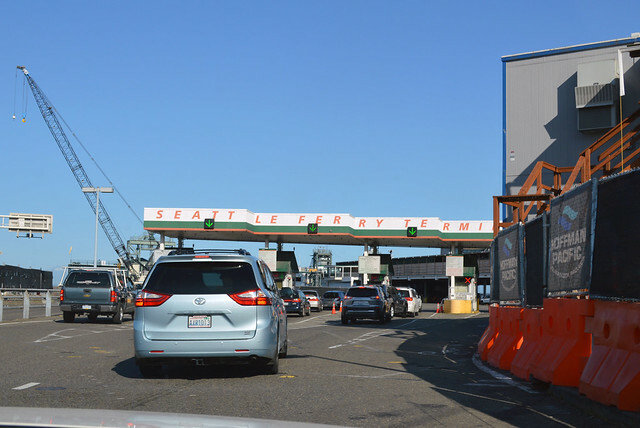 At Yesler, enter the ferry terminal. Take SR 304 to Bremerton or SR 305 to Bainbridge Island.